Wait a minute! Before you get the grill ready for the Thanksgiving turkey, roast your leftover pumpkin seeds from Halloween carvings for a great, nutty-flavored snack. Preheat your gas grill with all burners on high for about 15 minutes. Moderate the heat by turning off one or two of the burners: if you have a two-burner grill, turn off one burner. If you have a three-burner grill, turn off the center burner. If you have a four-burner grill, turn off the two inside burners. Wait until the temperature reaches about 325°F. 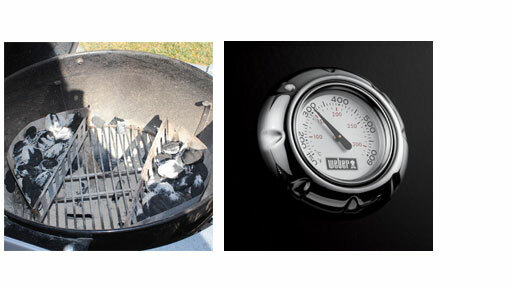 Arrange hot coals evenly on either side of the charcoal grate until the internal grill temperature reaches about 325°F. You can add or remove charcoal to help reach the correct temperature, but keep the number of briquettes fairly even on each side. Place the cooking grate over the coals. You need pumpkin seeds, olive oil, and salt. Roll up your sleeves and scoop the pumpkin seeds out of the pumpkin. 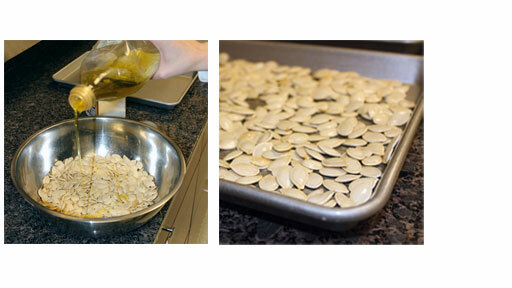 Pour the seeds into a strainer in your sink and wash to remove everything that doesn’t look like a pumpkin seed. Spread them out on a flat surface and pat gently with a paper towel to remove any excess moisture. Put the seeds in a bowl and coat with a little olive oil and salt, and lay the seeds out in a single layer on a baking sheet. 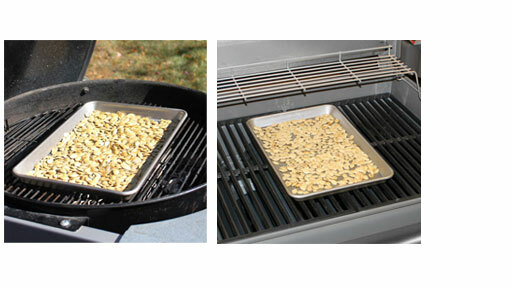 For both charcoal and gas grills, place the baking sheet of pumpkin seeds in the center of the cooking grill and roast for 45 minutes to one hour, or until golden brown. Turn seeds after about 30 minutes into roasting time. For a little extra zing, toss seeds with Parmesan cheese, garlic, chili powder, or whatever you have handy. Sounds like a great family adventure to me.